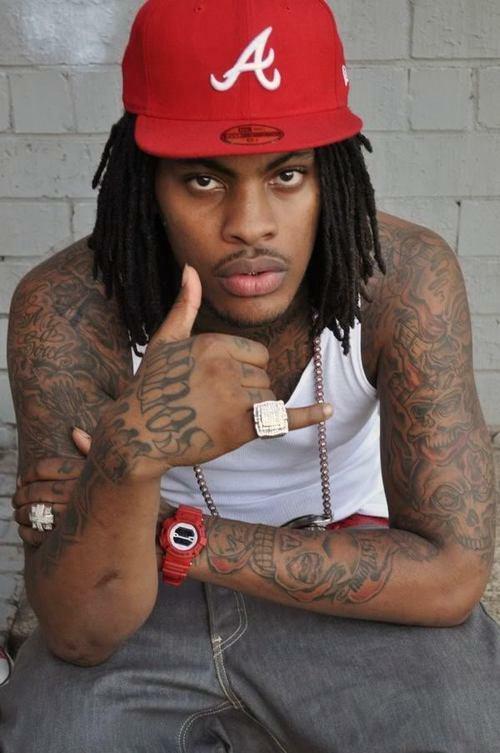 *Officials in McDonough say rapper Waka Flocka Flame waived a court hearing and remains in jail on drug and gun charges. As previously reported, the rapper, whose real name is Juaquin James Malphurs, surrendered Monday and waived a hearing Tuesday. His attorney says he hopes a probation violation charge is resolved this week so the rapper can be released. Malphurs is charged with possessing marijuana and a controlled substance and two with offenses stemming from firearms possession. He is charged with breaking anti-gang laws and violating probation for driving on a suspended license. His attorney, Ted Johnson, says the rapper was not home when it was searched, and the people who were there should take responsibility.